It’s okay to not have a blog. But the benefits of having a blog — a good one — are so dramatic that I can’t imagine why any small business owner would prioritize other social efforts above it. 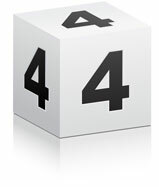 Here are four reasons that small businesses should be blogging. You know those business websites that brag about how the company is the world’s top provider of turnkey solutions to all of your needs and the only source you’ll ever need for widget sales and repair? No one believes that stuff. It’s hyperbole. And when people come visit your website, they’re looking for answers, not corporate cheerleading. I love this old quote from Jeremiah Owyang that still rings true today. A blog, on the other hand, is how small businesses can show their human side. A blog lets you speak with your customers instead of speaking at them. It’s where you can provide real help and answers. 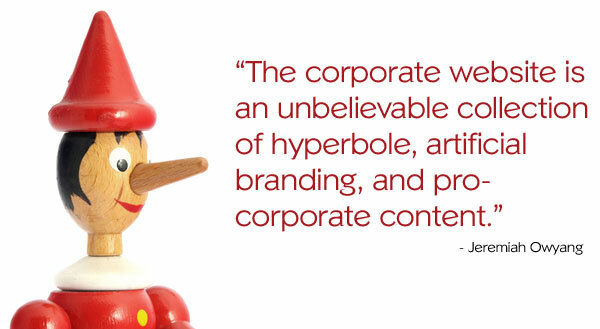 It’s where you can show your company’s personality, where you can be human, be real, and be believable. A good blog helps your small business become an authority in your industry, or maybe in your hometown. It lets you skip the hyperbole and really show that you know your stuff. Whether you’re selling widgets or offering a service, you have to be willing to give away your knowledge. I can’t begin to tell you how many small business owners have contacted me looking for SEO help after reading this blog. I give away my knowledge, and it attracts interested prospects. When you use a blog to share your expertise and become a trusted authority, it can also attract press attention, and that often leads not only to a huge rush of traffic to your blog, but it also brings high-quality links that help with your SEO efforts. Speaking of which…. Search engines love a good blog. (I’m defining “good” as a blog where quality articles are published on a consistent basis.) There are countless studies that have shown the benefits of blogging; I’ll use two that come from Hubspot, a company with thousands of small businesses using its platform for their online presence. 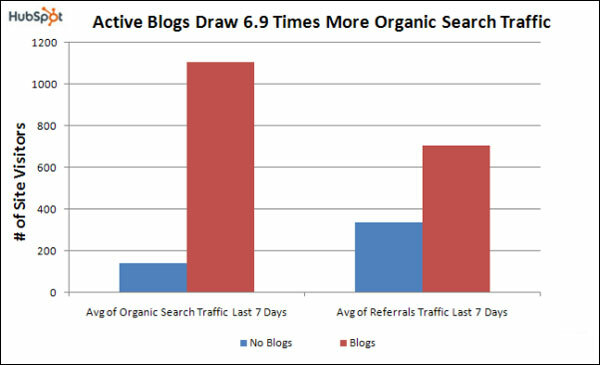 Small businesses with active blogs get about seven times more organic search traffic. They also get about 55 percent more visitors, and that article also mentions 97 percent more links for companies that blog. Need SEO help? Build a great blog on your company’s website (not on Blogger or WordPress.com). And that leads right into the last point…. Facebook and Twitter are great, and a lot of small business owners are using them creatively to reach customers. But Facebook and Twitter could disappear in a few years, just like MySpace has since it was the hot social site five years ago. You own your blog. No one can take it away from you. The content you create on your blog will serve you forever. Great articles will continue to bring traffic for years after they’re published. One of the smartest things you can do is own your digital assets, and having your own blog lets you do exactly that. It’s okay to not have a blog. Maybe you don’t have time right now … that’s okay. But don’t make excuses forever. Remember, static websites are dead. You need to create vital content. There’s no better way to do that than a blog. It’s hard to know what to blog about sometimes though, if you post personal opinion hastily blogs can sometime cause trouble. Personal opinion generally has no place on a business blog, Mark. Very nice post, l run my own blogs and l found that small businesses are not so technology oriented. If someone has a bakery shop, what is the blog for? l think blogs are not for every small business. Basically, blogging allows you to position yourself in the market, good for seo – search engines love blog and go for social media marketing – interactive. Here here! It pains me to see so many businesses put all their marketing efforts into Facebook and Twitter when they don’t even have their own blog. I’d rather see them put that energy into building their own blog FIRST – then compliment their blogging efforts by utilizing Facebook, Twitter, etc. So many businesses have the process backwards. I suppose to most small business owners it’s easier to jump on Facebook and Twitter than to launch a blog (even though you can have a WordPress blog installed in under 5 minutes if you have cPanel). We just got restarted on our blog, I am excited to see your stats. Here is hoping we have that sort of success. As Matt said, a blog can give you a chance to be real with people. With that said, you shouldn’t need to pain yourself over content. Just write what’s on your mind (but keep it within the business context). I believe that people can tell when content is forced and spoken from being real. Hemmingway once said that he wrote 1 masterpiece for every 91 pages of s**t. Not everything will be a gem but the ones that are can have a tremendous impact on your business. Persistence is the name of the game. Babe Ruth broke the single season home run record in 1923 and at the same time, set the record for most strike outs. Same thing can be applied to copywriting. Tactics and best practices can be used but we have to be willing to “strike out” from time to time. I have the hardest time explaining to clients the benefits of blogging – mainly because they don’t have a clear understanding of how SEO works. Plus, they believe generating content will be the equivalent of their senior thesis. Matt, Great post! I wish every small business would read this. I will be book marking it for future reference. We manage about 100 domains for SMB’s and we never used to be big on pushing our clients to blog and create new content. We just found it it was so hard to get them to do it. No matter how much we educated them on what to write, how to write, why to write. etc. they just would never do it. Too busy running their businesses. This has been producing great increases in traffic and leads for our clients! We publish 80% of them as abstract posts where we are commenting on relevant news or sharing relevant news, 15% as expert articles, and 5% as a link bait piece. We outsource the work, and have an internal editor team who makes the content perfect for the client’s industry. We’ve been seeing traffic increases of 10-30% on sites. Leads are increasing too. It’s been awesome. I wish I decided to do this two years ago for our clients. In another, 30-60 days I will have enough data to kinda put some small cases studies together on our blog about it all. All SMBs need to understand is bigger sites get more traffic. If you do 20 posts a month you’ll have site that is 240 pages larger then the previous year. If you do 45 a month, it’ll be 540 pages at the end of the year. Most SMB’s sites are 25-50 pages. Which site do you think will get more traffic…? A site that is 50 pages or a site that is 540 pages…? Now this only works if you get how to write value based content and some basic on-page SEO…. so you mine the long tail. If you do, a local SMB can crush their competitors with this simple strategy. 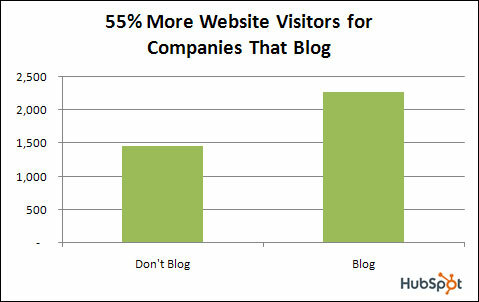 SMB’s should be running to blog (or at least contract it to someone to do for them). Content will always be King with online marketing. As a small business in the promotional products industry, one would think that maintaining a blog would not benefit me like other businesses in other industries. However, maintaining a blog has been HUGE for me. It gives me credibility to my online customers. It also is a place for my employees to go for training on products.